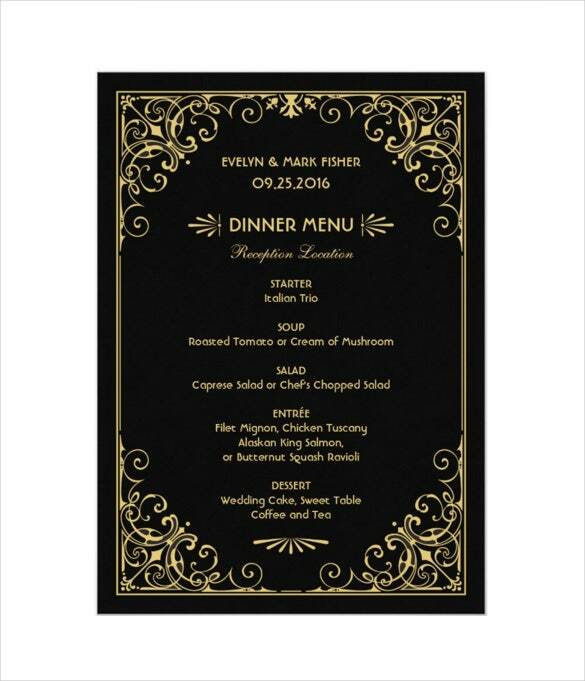 A lavish and grand wedding means amazing catering and scrumptious food. 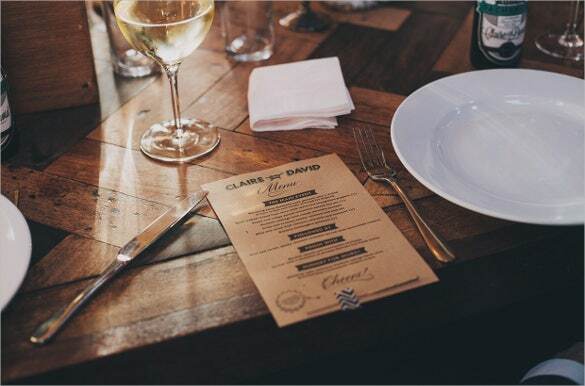 At dinner time, you want to avoid confusion and chaos, don’t you? 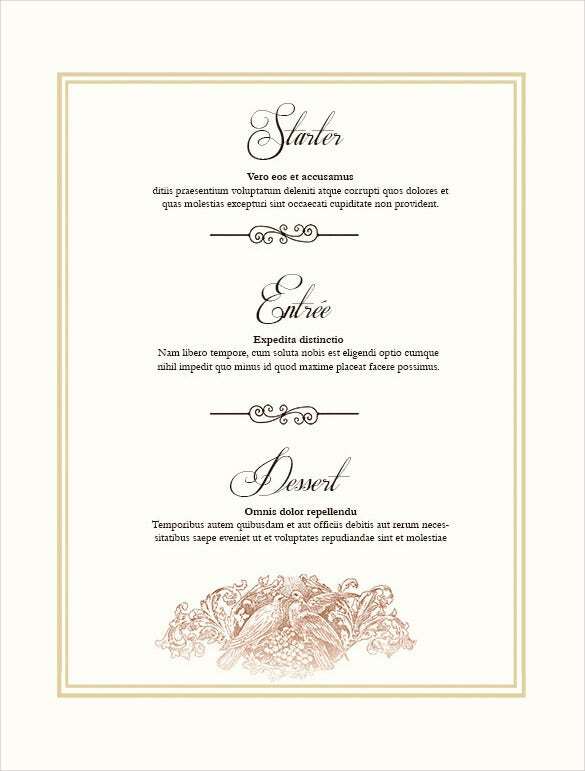 That is why a dinner menu is important at a wedding ceremony. 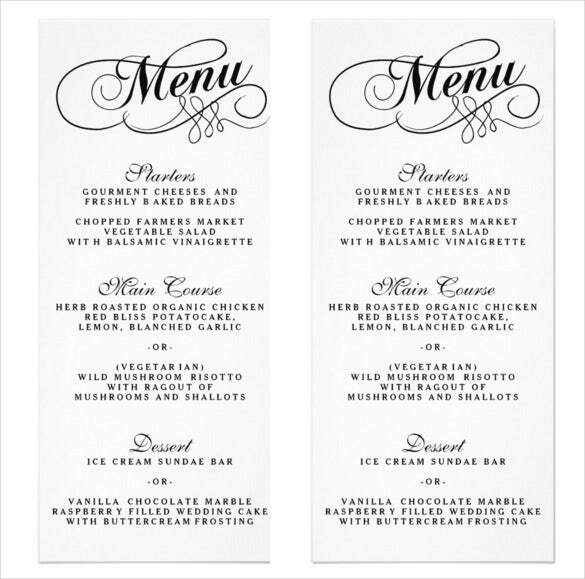 Most catering companies come with their own menus. However if you want to save on money, you could simply design your own. 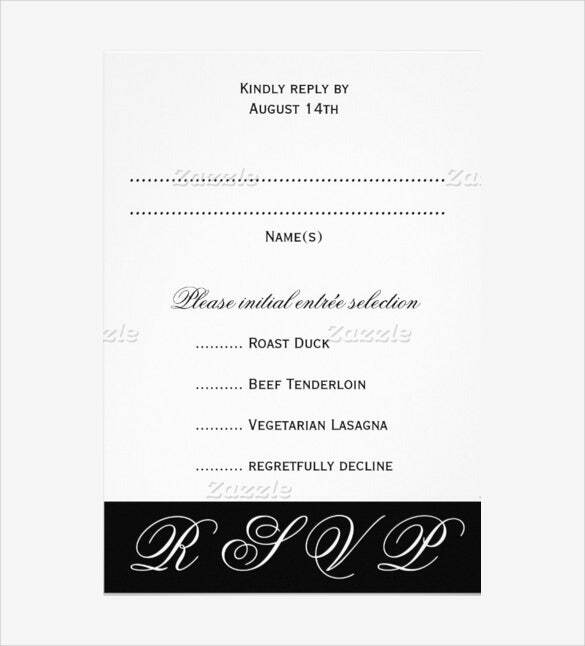 Look up wedding menu templates for that. 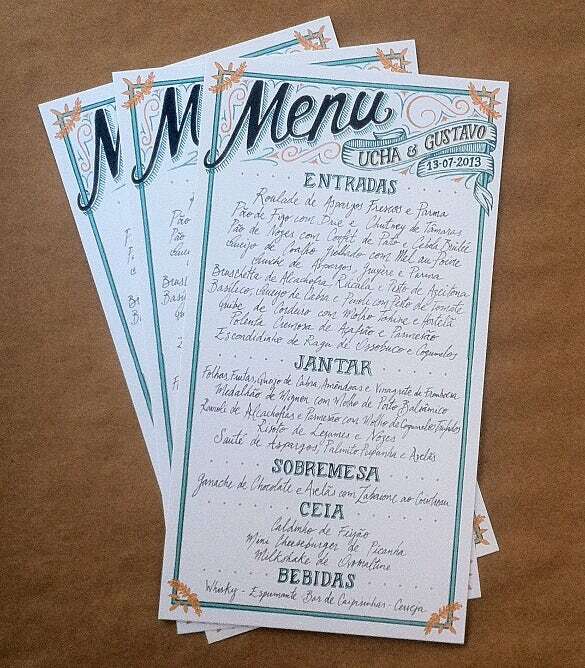 You can also see Restaurant Menu Templates. 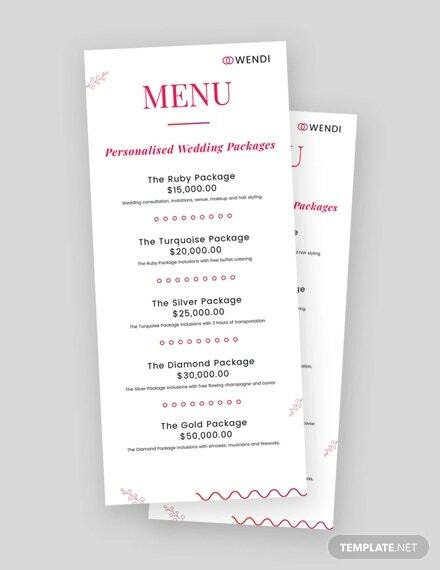 A wedding menu template example would allow you to have the dream wedding you always wanted. 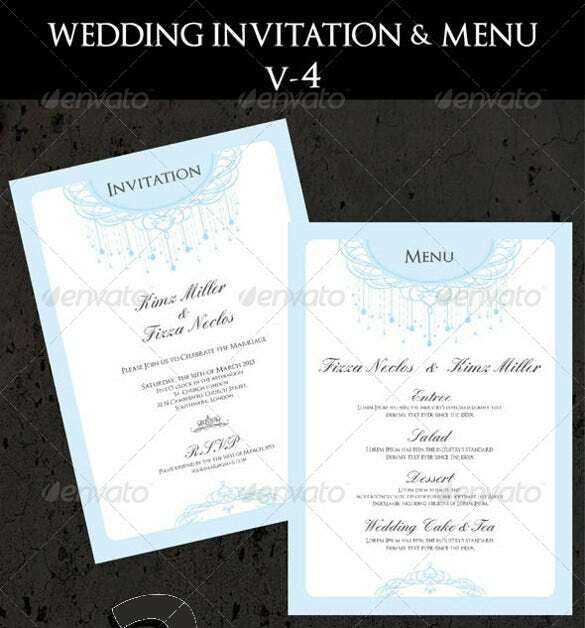 You can download the Menu Templates, and even add a short description of the ceremony on to the menu. 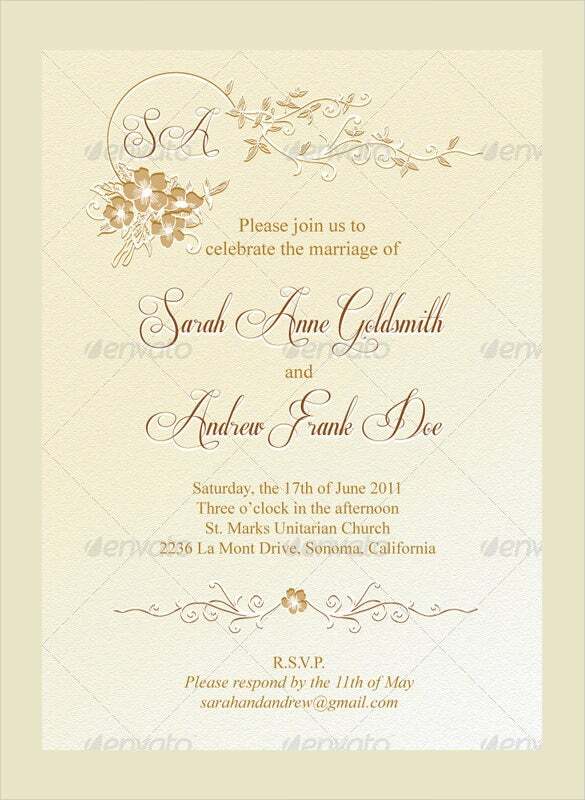 That way, you can hand it over to your guests as they arrive! 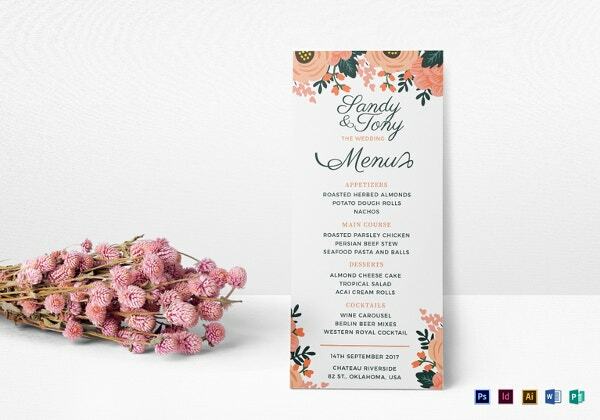 [37+ Wedding Menu Templates – Free Sample, Example Format Download! 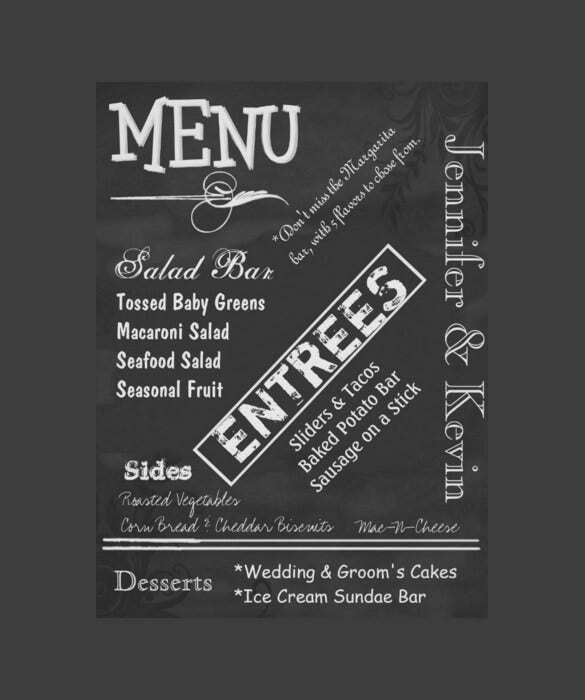 When planning a wedding reception, it is good to plan for the menu too. 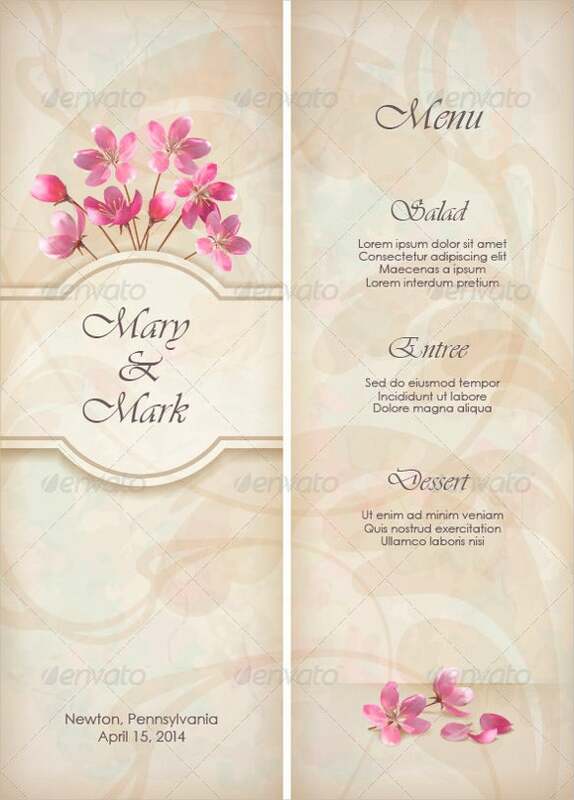 This sample wedding menu template has the categories including salad, entree and dessert. It is available for free download. 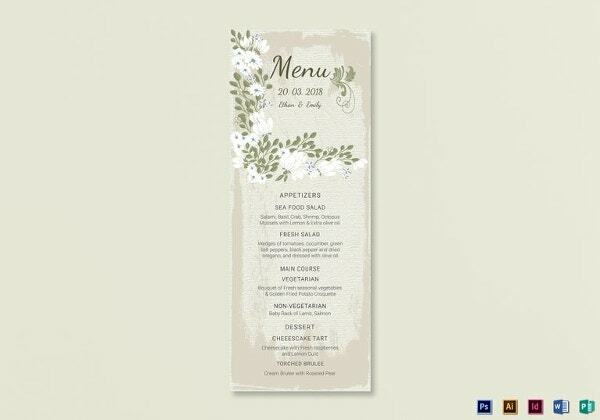 With this beautiful sample wedding menu template, you can create your menu plan. 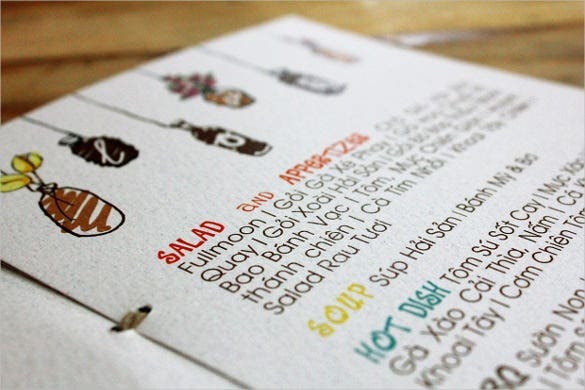 It folds into three with many categories of food to choose from. 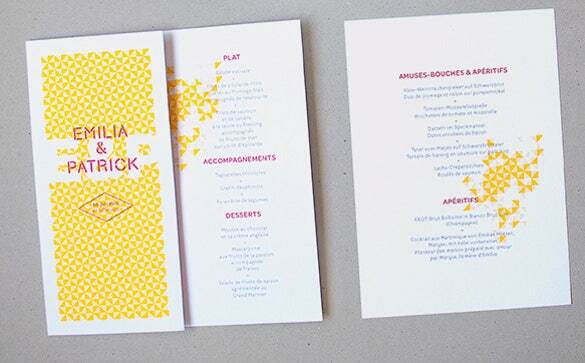 It is designed in a very impressive colourful look. 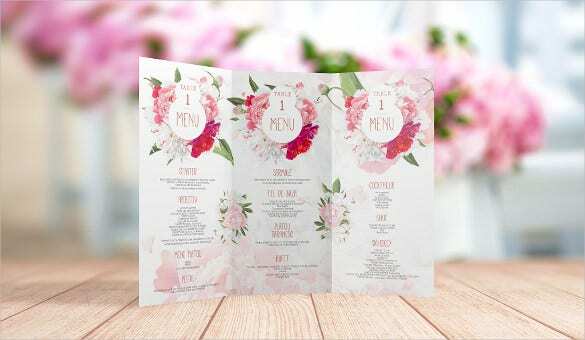 In order to make a lovely wedding menu, this example menu template is what you need. 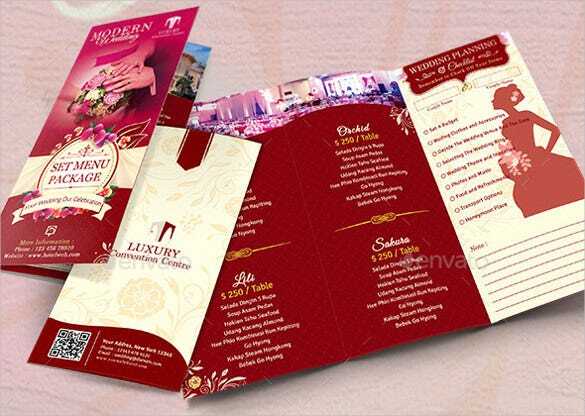 It is professionally designed to give you the best and presentable layout for the menu. 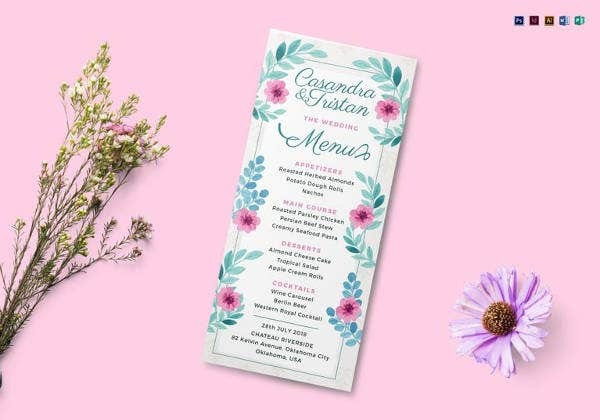 If you want to make your wedding planned adequately, this wedding menu sample template cannot go unused. 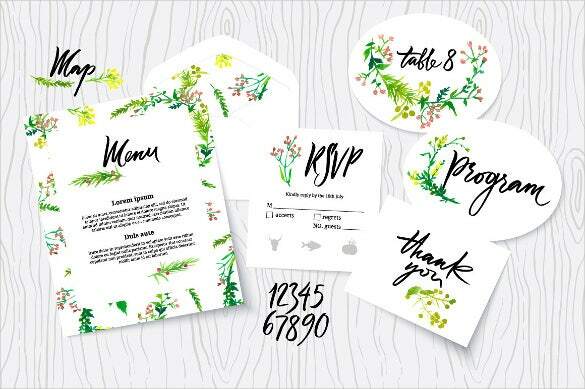 It helps showcase to guests what you have planned for the meals for the day. 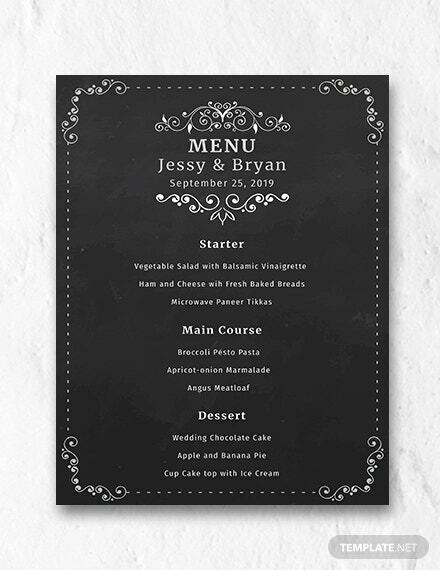 Use this artistically designed wedding menu template to make your meals plan presentable. 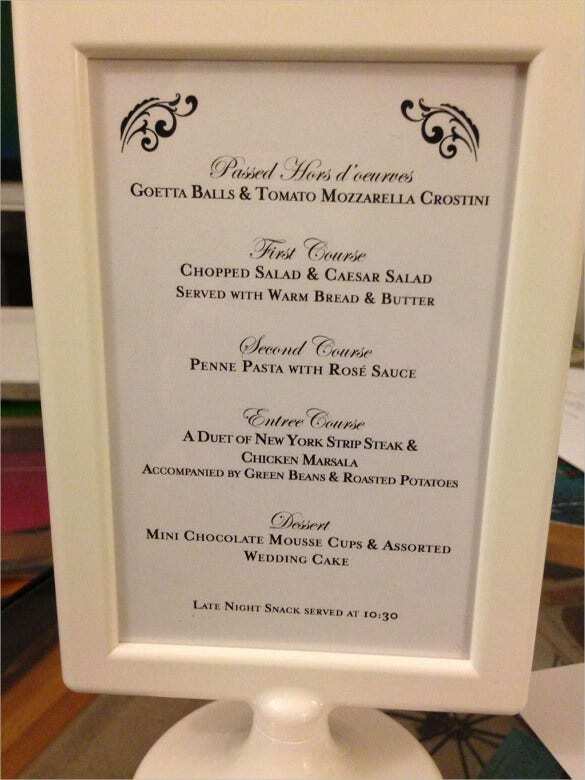 The example here covers all the meals from the starters to the main course to the salad and dessert. 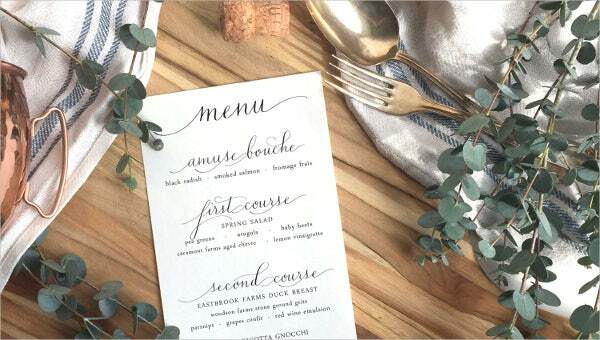 This wedding menu has a classic design that is inviting to the eye. 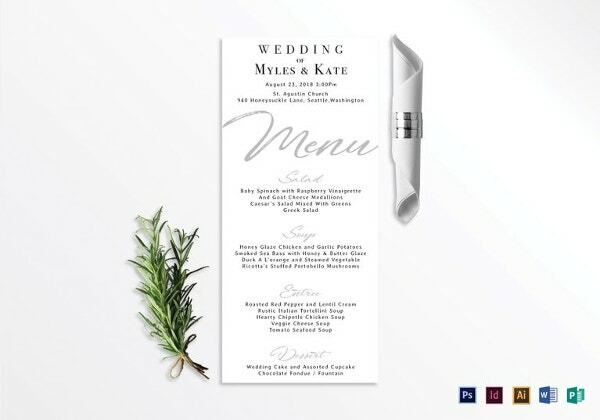 The sample is available for download free of charge and includes all the meals available for the wedding. 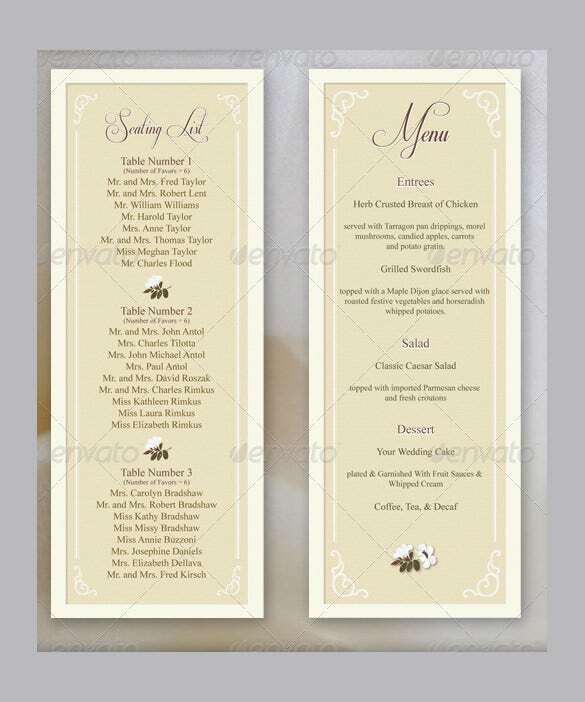 If you reckon tri-fold wedding menu is what works best for you, this tri-fold template qualifies a consideration. 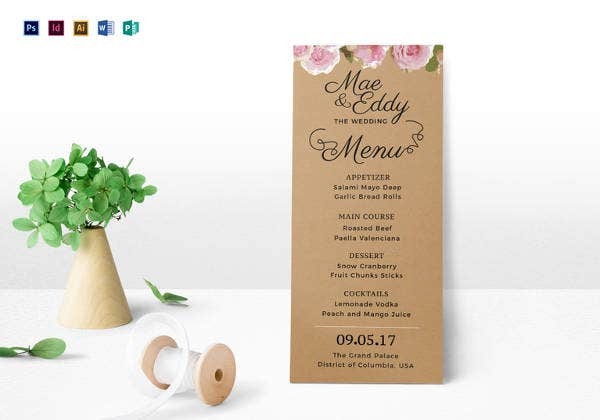 It has got the art and design elements and besides, the important bit is that you can customize it to bring it up to your taste. This template is easy to download. 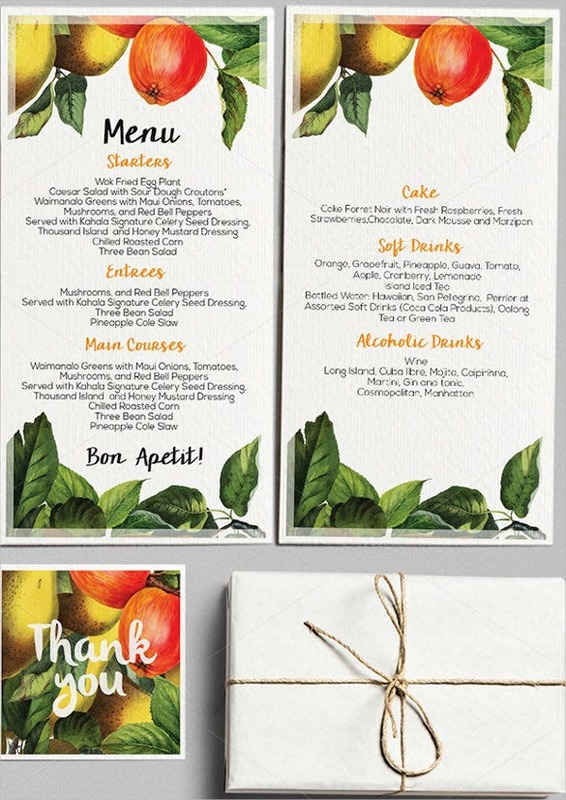 In order to effectively plan for a wedding reception, this wedding menu template can be used. 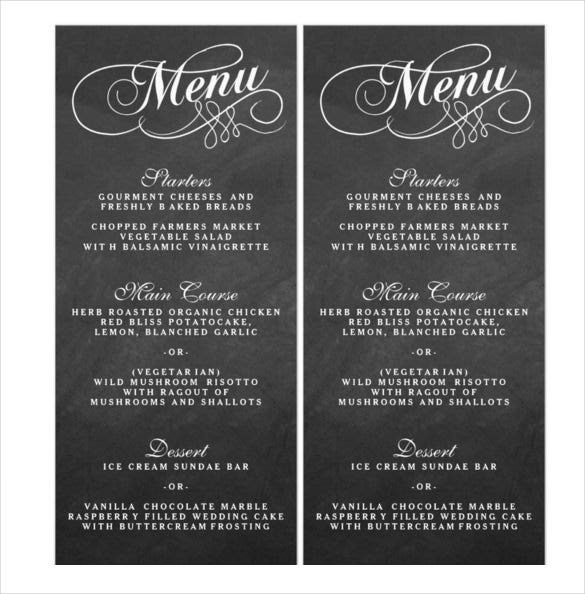 It helps plan the seating and shows the menu for the event. 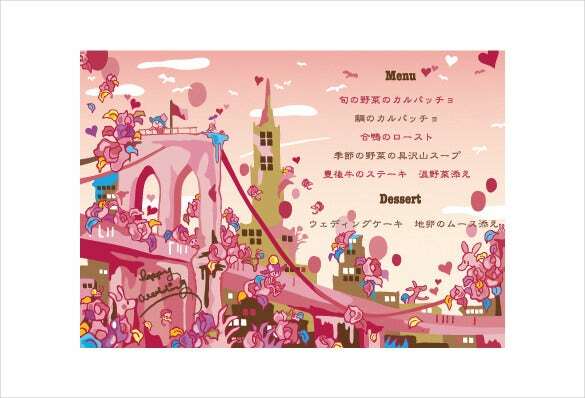 Download the sample in EPS format. 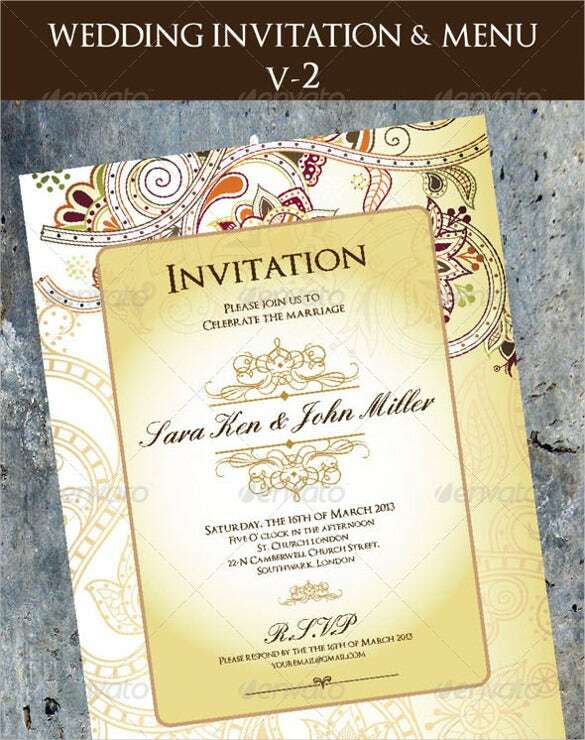 This a wonderfully designed wedding invitation in impressive color. 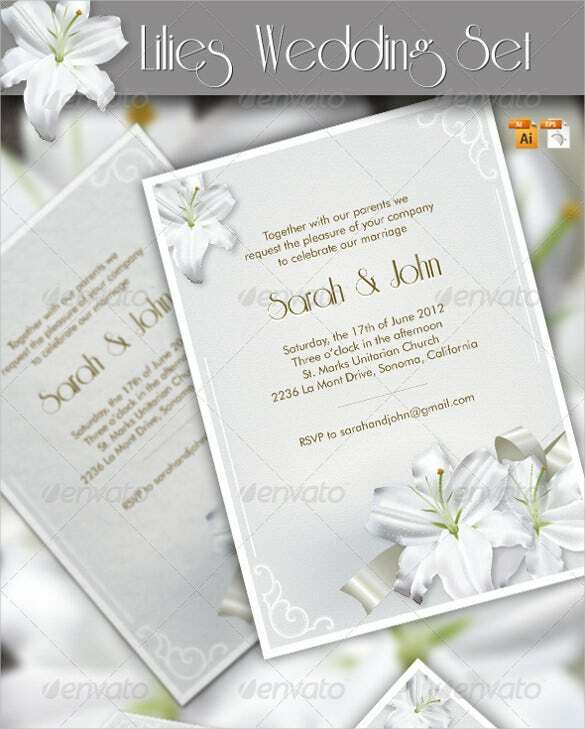 The example template is available in six pieces including the envelop, invitation, seating table, RSVP, program and a thank you note.